How could I have been the one to come up with the Theory of Relativity? I think it must have been because I was a late developer. Then they found a body floating face up in the lake, and the right eye, the only one it had left, was open and showed no sign of trauma. The volume of the body, due to the water it had absorbed, and to the high density of chemicals in the lake and the different fauna and flora that had formed inside the intestines and other passageways of the deceased, had multiplied by almost 2. Body-sponge. Teabag. In life we absorb the past and we take in air; when we die, we are entered instead by chemicals and organisms, and by things breeding, and by the future – though a future worthless to us now. And then nothing. From the rooftop terrace, the backs of cars can be seen as they advance down the wide one-way street to the waterfront shipyard. They cannot come back along it, nor will they be able to – not one. Sandra flies from London to Palma de Mallorca. Barely 1 hour, the orbit of the Earth on pause. She flicks through the in-flight magazine, British Airways News. Reports on wine production in Ribeiro and Rioja, the latest hightech architecture in Berlin, mail-order Majorica pearls. A tear falls onto a photo of a Caribbean beach, but the beach has not pricked it from her, and neither has the Caribbean, nor the gravity to which all tears are subject. She looks out the window, looks ahead, sees neither clouds nor earth. Here, the verification of something she already knew: on aeroplanes, there is no horizon. Marc studies the book with care, Philips Agricultural Guide: 1968. An old possession of his father’s that he kept. He glances out at the roof terrace through the door of the hut in which he lives. A shed at the top of an 8-storey building which he has assembled over time using sheets of corrugated iron, oil drums, pulverized cardboard and asbestos offcuts. All put together in such a way that the 4 walls have become mosaics of chopped-up words and icons – La Giralda oil, Repsol lubricants, Drink Pepsi, sanitary ware by Roca. Sometimes he looks at them and, from this welter of logos and brands, tries to discern maps and itineraries, as yet undiscovered traces of further artificial territories. The roof area, which none of the tenants comes up to any more, is criss-crossed by a series of clothes-lines made of wire. Rather than clothes, however, they have pieces of paper pegged to them, each with mathematical formulas handwritten on a single side. When the wind is up [it’s always up] the pieces of paper, seen front-on, form a kind of sea: a tumult of theorems in ink. Seen from behind, the blank sides of the A4 sheets seem closely symbolic of a desert – the closest symbol possible. Watching as they flutter in the wind he thinks, What a fascinating theory. He shuts the Philips Agricultural Guide: 1968, places it on the table, and goes out to take down sheets from the wires numbered 1, 4 and 7. Before going back inside he rests his elbows on the guardrail and thinks about the World Cup we’ve never won, about the fact the flattest things on Earth are train tracks, about the score to Battleship Potemkin which, studied correctly, is a version of Jimi Hendrix’s ‘Purple Haze’. Then he goes back inside the hut, which shakes when he slams the door. Finally, they’ve found the weapons of mass destruction. The dictator hid them inside his body. And there was only one, neatly sown into the lining of his stomach – a capsule, 1cm3, connected to a micromechanism that he could activate via a remote control in his mind. Indeed, by simply focusing on this very precise point in his stomach, and by directing all his pulmonary and intestinal force there through an ancient yogic breathing technique, he could activate that micromechanism, releasing a poison that would kill him instantaneously. As for the mass destruction, that would ensue in a ‘cascade effect’: the wave of chainimmolations prophesied in the Alt Koran to take place at such a juncture, exactly like that other chain reaction known as ‘nuclear’. Christianity, Buddhism, Islamism and techno-secularism: gone in a flash. Somewhere in Spain, Marc, an avid reader of the Philips Agricultural Guide, pegs mathematical formulas to clotheslines on the roof of an 8-storey building. In London, the artist Jodorkovski spends hours painting tiny vignettes on chewing gum stuck to the pavements. In Miami, Harold spends his days devouring every box of Corn Flakes with his ex-wife's birthday as its sell-by-date. Meanwhile, in Corcubión, Spain, Antón is working on an audacious theory about the shared properties of barnacles and hard disks. These are some of the narrative strands that make up this arborescently structured novel, the second instalment in the Nocilla Trilogy, hailed as one of the most daring experiments in Spanish literature of recent years. 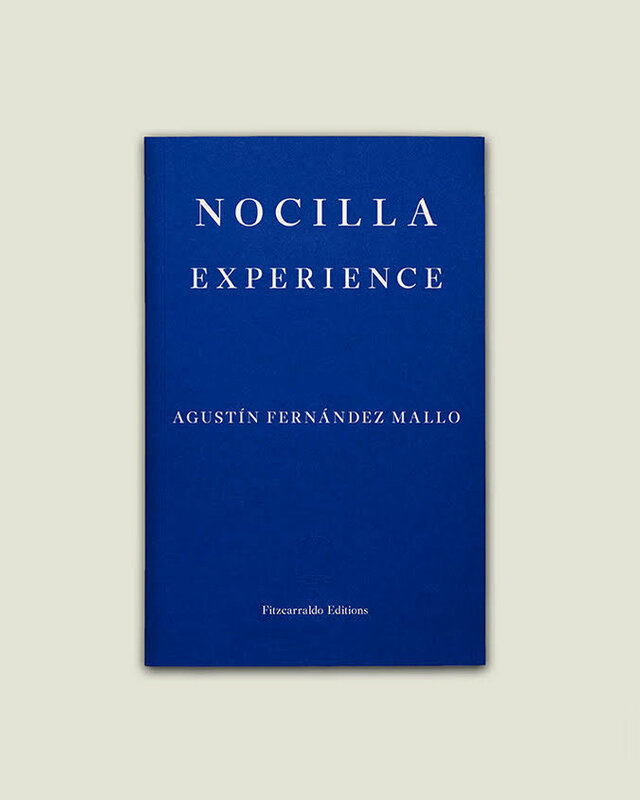 Full of references to indie cinema, collage, conceptual art, practical architecture, the history of computers and the decadence of the novel, Nocilla Experience picks up where Nocilla Dream left off, presenting us with a hidden and exhilarating cartography of contemporary experience.